Take to the city streets as a busy beat cop and protect the civilians from criminals, robbers, and dangerous drivers in one of the best first person police car driving simulator games. Uphold your cop duty as a police officer and take on risky missions to arrest criminals and help clear the city of crime. Answer the call on your police radio to pursue the crimes in this intense police action game! !! 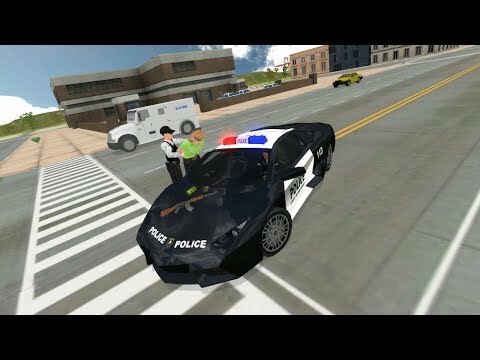 Cop Duty Police Car Simulator is a new open world driving simulator !! Drive real police cop cars in a huge open city world filled with miles of road to drive on. Leave your car at any time and explore on foot around the city and surrounding countryside in the exciting open world action game. Get right into the cop duty action and take on unique gameplay missions like vehicle takedowns, hostage situations, vehicle escorts, drug busts, and more. The all-new exciting police crime-fighting action you've been looking for is ready now! Upgrade and unlock a whole arsenal of weapons as well as your very own police vehicle from a wide selection of city cars, offroad 4x4 trucks, and fast cop car interceptors. Take on the criminal robbers with Desert Eagles, M16, hand grenades, mini-guns, and a whole load more to try out!! Get into the action of the cop car driving at any time with alerts from the police radio, accept the call and head over to the scene of the crime and witness the real cop action. If that doesn't sound like your style, decline the call and explore the city open world in your cop car or on foot. Do whatever it takes to be one of the best police officers! - A huge open world, filled with wide open roads, mountains and more! - Unlimited mission objectives, non-stop action!! Watch out for your health and your car's stability, so be sure to look out for garage and hospitals around the city for car repair and player health boosts to keep you going longer in the line of duty. Get into non-stop action in the latest police driving game as it brings you closer to the realistic police duty. A massive open world for the best police car driving simulator game experience! Drive, drift, crash, chase, and arrest criminals around a huge detailed open city! The most realistic action-packed police driving game you'll ever experience, Cop Duty Police Car Simulator!